Treacherous Turns Treating trauma One explanation for a steep rise in severity of auto accident claims is that they usually involve traumas to multiple body parts not typically seen with other traumatic injuries. Over the past 15 years traumatic injury treatment and survivability has vastly improved, observes Dennis Gagliardi, VP of claims for MEC. He says these injured parties now survive more often and with significantly more complex injuries across multiple body parts, requiring significant acute and post-acute medical interventions and rehabilitation services. Many times these claims involve the neck, which Howell says “is one of the most expensive body parts. Employees who drive company vehicles represent one of the most difficult work comp exposures to control. “You can eliminate a dangerous practice, procedure, operation or situation at your workplace. It’s a lot tougher to do that in a vehicle,” explains Tony Hughes, commercial auto project manager at Safety National, a leading specialty insurance and reinsurance provider. With 14% of U.S. drivers carrying no auto liability insurance, he says there’s a good chance some of them use their vehicles for work. That means employer-provided liability coverage that sits on top of personal insurance “might have to drop down and pay from dollar one if there’s a liability loss,” he says. There has been a reduction in the frequency of auto liability claims nationwide as the number of accidents and alcohol-related crashes decline, Hughes reports. Reasons include better enforcement and education, as well as speed and traffic signal cameras, and better loss controls in place from organizations. However, he says there has been an increase in severity of auto accident claims. They largely stem from an increase in jury verdicts, plaintiff-friendly venues and medical inflation. Litigation target There’s obviously a business imperative to steering employees out of harm’s way. Without a pristine safety record, for example, Coleman says his firm would lose out on opportunities to bid for work. Also, a lost or suspended driver’s license, as well as moving violations, could result in lost driving privileges with Beard, whose workers’ comp rates have trended down for the past dozen or so years alongside peer contractors in the group captive program. 20 Plus years of industry knowledge, expertise, and unsurpassed service Strength of Liberty Mutual which holds an A rating by both Best and S&P Plan Mirroring availability Disclosure statements no longer required on renewal business Liberty Mutual entered the Employer Stop Loss Market through its acquisition of TRU Services, LLC in April 2017.
know of TRU, but with the strength of Liberty Mutual. Treacherous Turns which was $15,000. But because the Beard employee was in a company owned pickup truck, an aggressive injury attorney knows the potentially huge payout by virtue of a commercial vehicle being involved. to overcome as well and highly unlikely in the near future. Excess and umbrella policies with higher insurance limits place a target on the backs of commercial drivers. To make matters worse, the injured worker’s medical treatment continues to escalate since future medical expenses weren’t in the settlement. He recalls working with a client that, prior to joining a group captive, generated an $18 million work comp claim involving a woman in her mid-20s driving to an appointment who was seriously injured in an auto accident that likely will require lifetime care. 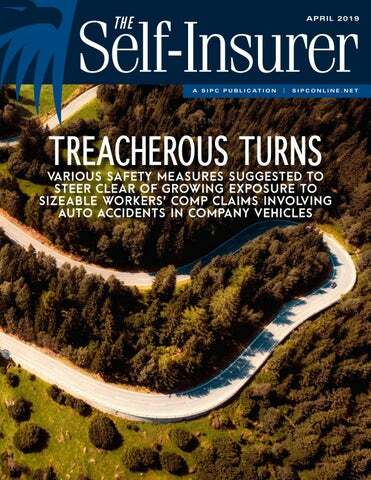 “Some of the largest severity claims are driven by not multiple employees being in a van that rolls over, but just the single-occupant employee driving a car or truck,” observes Duke Niedringhaus, SVP for JW Terrill Inc., a Marsh & McLennan Company, and active member of SIIA’s Workers’ Compensation Committee. Many of the auto accident claims Howell is seeing involve government employees such as police or firefighters who are often on the road, as well as clerical workers who are the victim of careless drivers. Treacherous Turns safety program might abide by these restrictions fresh out of training, he says they typically start talking on their phone by the third month and texting by the fourth month. In such cases, he suggests that companies continually repeat safety messages around the hazards of distracted driving to reduce the frequency of auto accidents. Despite technical strides that have made vehicles safer, Howell notes a “strong correlation” between smartphone advances and an increase in the number of motor vehicle accidents. She considers distracted driving the chief culprit. “As a society,” Howell says, “we have to be aware that we can’t count on the other drivers to be paying attention. We almost have to be twice as present to protect ourselves.” The best way to combat this phenomenon is by passing laws that crack down on texting while driving, as well as employers focusing more on safety initiatives, she adds. Under Department of Transportation regulations, commercial motor vehicle drivers can be cited for up to $2,750 if caught using their cell phone behind the wheel, while the employer can be fined up to $11,000 for those violations. WANT TO IMPROVE THE HEALTH AND PRODUCTIVITY OF YOUR EMPLOYEES? YOU’LL NEED MORE THAN A WELLNESS PROGRAM AND SOME HEALTH DATA. You need a comprehensive view of workforce health & the systems and expertise to turn data into action. YOU NEED IN-SIGHT FROM IPMG. In-Sight provides a single, integrated platform for all employee health, injury, workers’ compensation, absence and engagement activity — and the specialized teams that use your data to proactively minimize risks and promote productivity. “I don’t think that those penalties are severe enough just because we’re having all these accidents,” opines Don Anchors, director of risk management of the Alabama Trucking Association Workers’ Compensation Fund. Several states ban cell phone use and/or text messaging. He reports that distracted driving, speeding and following too close to another vehicle are three major culprits. Some safety violations are shocking to absorb. “It still befuddles me that we still have one in six to seven CMV [commercial driver license] operators that don’t wear their seatbelt,” Anchors says. The trucking industry is responding in a number of ways, which include anything from progressive disciplinary action to termination depending on the severity of the incident or location (i.e., a construction zone). Hughes was about to meet with a vendor whose product prevents texting and most cell phone uses while in a vehicle, hoping to use it as a tool for one of his larger accounts. During his 45-minute work commute, he notices about onethird of drivers misusing their cell phone in traffic. “We need to get a handle on it,” he says. Cameras and rear tire treads Niedringhaus suggests the use of video cameras in all company vehicles as a deterrent to distracted driving and other safety concerns behind the wheel. “Obviously, that carries over to the auto liability side, but it also would drive managing risk on the work comp side,” he explains. The tactic, while a hard sell to employees, can lead to post-accident teachable moments that promote a constructive dialogue between an employer and employee, he adds. Another important safety measure is to ensure that there’s adequate rear tire tread depth on all company vehicles, which Niedringhaus considers “the most underappreciated factor of managing risk in an auto from a work comp standpoint.” Without solid rear tires, he cites the possibility of fishtailing in inclement weather even if both front tires are new. “No matter how experienced of a driver you are, it’s incredibly hard to pull out of and most likely you’re just at the mercy of physics and whether or not you’ve got cars around you or you go off the highway,” according to Niedringhaus. In addition, he says the Waze smartphone app, with its real-time satellite updates, can be a useful and free risk-management tool to help drivers avoid massive car pileups in snowstorms or other poor weather. “If I was managing a fleet of vehicles, I would want my employees using this app,” he adds. The trouble with Waze, Hughes counters, is that it also uncovers speed traps and DUI checkpoints, and therefore appear to encourage drivers to break the law. With the legalization of cannabis across a number of states, he notes that roughly half of people who are convicted of a DUI have more than one intoxicant in their system. A huge challenge is testing for cannabis given that the THC mind-altering compound dissipates at a different rate in the bloodstream and may go undetected. Installing telematics can track vehicle data that includes anything from speeding and hard braking to even braking through a geo-fenced area, Hughes adds. He says soft approaches to addressing safety concerns on the road include having employees sign a pledge to wear a seatbelt or following the speed limit when driving for their company. Between the growing commercial use of autonomous vehicles and drones, Gagliardi expects a decline in the frequency of claims involving auto accidents. Indeed, Warren Buffet recently predicted that safer vehicles will reduce the motor insurance industry by 60% over the next 25 years. Irrespective of whether that actually comes to fruition, self-insured work comp programs still need to devise sound strategies for reducing both the frequency and severity of these claims. Bruce Shutan is a Los Angeles freelance writer who has closely covered the employee benefits industry for more than 30 years. n January, SIIA released the Captive Manager Code of Conduct—a document meant to guide captive managers to a high standard of ethical conduct and to help strengthen the reputation of the captive industry. With this Code, the association hopes to take a proactive approach to answer any lingering questions about the validity and effectiveness of captives. In the last five years, the captive industry’s reputation has repeatedly come into question, even as the market has continued to expand. The Internal Revenue Service first began to list captives using the 831(b) tax exemption to the “Dirty Dozen” list—a list of business structures the IRS believes to be tax shelters—in 2014. That segment of the captive market took another hit in late 2017 when the United States Tax Court released its decision against the captive owners in the case of Avrahami v. Commissioner, a highly anticipated case regarding a captive insurance company using the 832(b) tax code. Several other similar court cases are still pending, due to be decided this year. One of the central issues surrounding captives using the 831(b) tax designation—these captives are referred to Enterprise Risk Captives (ERC)—is that some captive managers may be promoting their use as a tax scheme. Captive Code of Conduct This issue involving this one segment of the captive industry has created a larger issue of reputation for all captives. There has been much discussion among captive industry professionals about how to deal with managers that are misusing the system while advocating for captives in the larger insurance marketplace, with regulators, and with potential captive owners. SIIA’s Captive Committee decided to meet this issue head on by creating the Captive Manager Code of Conduct as a guideline for the captive industry. The Code is broad enough to encapsulate all types of captives and their managers, not just ERC captives. SIIA sees it as a way to better inform consumers and regulators about how to evaluate captive manager business practices and to help the captive industry in general. Code of Conduct In early 2018, SIIA’s Captive Committee formed a working group to address these ongoing issues surrounding captives and captive managers. The group’s mission was to look at what the industry needed and to draft ethical guidelines that would help distinguish “best in class” captive managers. The idea of the Code of Conduct has been in the works for a long time, according to Work. “Over the course of the last couple of years, the idea has matured. One reason is that [SIIA’s] captive membership has increased by more than 50% since 2015.
section outlines the basics in ethical management for the client and in working with regulators. The Practice Management details good communication, best business practices, and record management. The Captive Managers Code of Conduct is organized into five canons and meant to be a guideline for captive managers as they navigate through the complicated insurance management and reinsurance business. The main emphasis of the canons focuses around the day-to-day business of captive managers, but it also reflects the criticism that managers often see from insurance regulators. According to Work, “The canons focus on ethics and transparency, communications, and on administrative procedures. Captive managers have a responsibility to their clients, but they also have a responsibility to the industry and other captive managers.” On first review, the canons seem to be how any sensible manager would conduct their business. The committee members put a lot of thought into how to create a foundation document and how to state as simply as possible the guidelines the proposed. Now that the Code has been released and is getting positive feedback industry wide, SIIA has commissioned a new working group, the Code of Conduct Review Task Force (CCRTF). This group will be tasked with working with SIIA members and industry professionals to further improve on the Code. The idea is for it to meet at least quarterly, so that committee members can stay on top of changes in the industry. The CCRTF had its initial meeting on March 1st. The first order of business for the CCRTF will be to review how the dissemination of the Code went and to look for other ways to further communication with stakeholders and regulators. The working group also wants to investigate how to build other infrastructure around the code—such as adherence requirements or a formalized record of signatories. he Affordable Care Act (ACA), the Health Insurance Portability and Accountability Act of 1996 (HIPAA) and other federal health benefit mandates (e.g., the Mental Health Parity Act, the Newborns and Mothers Health Protection Act, and the Womenâ&#x20AC;&#x2122;s Health and Cancer Rights Act) dramatically impact the administration of self-insured health plans. This monthly column provides practical answers to administration questions and current guidance on ACA, HIPAA and other federal benefit mandates. Attorneys John R. Hickman, Ashley Gillihan, Carolyn Smith, and Dan Taylor provide the answers in this column. Mr. Hickman is partner in charge of the Health Benefits Practice with Alston & Bird, LLP, an Atlanta, New York, Los Angeles, Charlotte, Dallas and Washington, D.C. law firm. Ashley Gillihan, Steven Mindy, Carolyn Smith and Dan Taylor are members of the Health Benefits Practice. Answers are provided as general guidance on the subjects covered in the question and are not provided as legal advice to the questionerâ&#x20AC;&#x2122;s situation. Any legal issues should be reviewed by your legal counsel to apply the law to the particular facts of your situation. Readers are encouraged to send questions by E-MAIL to Mr. Hickman at john.hickman@alston.com. “Voluntary” Benefits Face Different Compliance Burdens Than Traditional Group Health Plan Coverage Unlike group health coverage, which is almost always an ERISA covered benefit, employers may have a choice as to whether certain other “voluntary” benefits made available at the worksite should be treated as an employer sponsored ERISA plan or as a non-ERISA voluntary supplemental plan. fund, endorse, or sponsor the program. Benefits such as vision, supplemental life, dental, accident, health indemnity and disability coverage can qualify for an ERISA exemption under this safe harbor. The key element in determining whether a plan is voluntary under ERISA is the level of involvement of the employer. What are the elements of the ERISA safe harbor? Many employers make supplemental benefits such as vision, dental, accident, disability, supplemental life, and health indemnity coverage available as a voluntary benefit to their employees. These benefits are commonly referred to by benefits advisors, insurers, and brokers as “voluntary supplemental” benefits to distinguish them from employer sponsored coverage such as primary group health coverage. The term “voluntary” benefits also has a specific meaning under ERISA. If the requirements under ERISA for a voluntary plan are met, then the arrangement may not be subject to ERISA. Employers need to understand the parameters of this important exception to avoid inadvertently creating an ERISA covered plan. This article discusses what it means for a plan to be voluntary under ERISA and provides a high level overview of related issues compared to providing benefits through a more formal employer sponsored program. This article is limited to supplemental products, which are also known as “excepted benefits” because they are excepted from Affordable Care Act mandates. Different issues arise with other products, including individual market primary medical plans. What is a voluntary plan under ERISA? •	No contributions are made by the employer. contributions will take the plan out of the safe harbor. o	Pre-tax salary reduction contributions through a cafeteria plan also may take the arrangement out of the safe harbor, although there is somewhat mixed guidance on this issue. •	Participation in the program Most health and welfare type benefits offered by employers to employees through the worksite could, depending on the circumstances, be considered to be employee benefit plans subject to ERISA. is completely voluntary for employees. employee has complete discretion whether or not to purchase the policy. •	The employer does not endorse the program or the insurance coverage. where most of the issues usually arise and is very dependent on the particular facts and circumstances. •	The employer cannot receive any consideration in connection with the program, other than reimbursement of actual reasonable expenses (and excluding any profit) for administrative services actually rendered in connection with payroll deductions. What types of employer actions are and are not prohibited endorsement? 	Describing the plan as subject to ERISA or including the plan in an ERISA Summary Plan Description Whether an employer has taken action that crosses the line to create an ERISA plan due to endorsement is very dependent on the facts and circumstances. 	Assisting employees with claims 	Encouraging employees to sign up for the coverage and/or referring to the coverage as part of the employer’s benefit package. What if the plan I thought was a “voluntary” plan is One action that, by itself, is not considered prohibited endorsement, may take the arrangement out of the safe harbor when looked at together with other actions and the arrangement as a whole. There are many federal court cases reviewing these issues under a multitude of fact scenarios. subject to ERISA? It is important to keep in mind that employers may choose to offer supplemental products through an ERISA covered group plan, and many do. Also, employers that offer group health plan coverage or their employees, are already dealing with ERISA. In such cases employers might choose to bundle the supplemental coverage with the group health coverage under a single wrap-around plan – as opposed to treating the benefit as a separate stand-alone plan. At its most basic level, ERISA has a variety of compliance requirements. For example, ERISA requires that the plan must be administered in accordance with a written plan document and that employees must be provided a Summary Plan Description describing the plan (which may often consist of the insurance certificate with some additional ERISA-required language). ERISA also imposes annual (Form 5500) reporting requirements on most plans. There is a very important exception from ERISA reporting for fully insured plans with fewer than 100 participants. The employer or other plan administrator may be subject to certain fiduciary rules when handling ERISA covered contributions. Depending on the benefits offered, other requirements may apply, such as HIPAA privacy or even COBRA if the coverage is health coverage. Employers should consult with their own advisers to determine whether their arrangement is subject to ERISA and what compliance requirements may arise. The bottom line for employers who want to have a high level of certainty that their plan is not subject to ERISA is to limit their involvement to actions that clearly fall within the safe harbor, and to structure payroll deductions so that insurance premiums are paid on an after-tax basis. Many employers already have ERISA covered plans and choose to offer supplemental benefits on a group plan basis. The determination of whether a plan meets the voluntary plan safe harbor under ERISA depends on all the details of the arrangement. By Maribel Echeverry McLaughlin, Esq. hen you think of personal injury attorneys, you may imagine men in trench coats with cheesy tag lines with inflated promises, and commercials with ambulances blaring in the background. Fortunately, I do not like trench coats, my tag lines are only sometimes cheesy, and ambulances terrify me. While attending law school, I worked for an attorney who became a state legislator, which meant I was forced to learn the ins and outs of running a practice in a very short period of time. That experience ultimately left a bad taste in my mouth for opening my own firm. Eventually, after graduating law school, I started my career as a junior associate in the personal injury firm down the street and became the partnerâ&#x20AC;&#x2122;s main resource for researchâ&#x20AC;Ś and coffee. Working there opened my eyes to new experiences, such as the opportunity to practice law with a team of partners and senior associates. We met once a week and strategized on how to win the most amount of money for our clients and, obviously, for the firm. Sometimes those two goals conflicted with each other and we would work to find a resolution that would make sense for all parties involved. A medical stop loss grand slam. A trusted business name. A stellar balance sheet. An executive team with 30 years of experience. Creative, tailored solutions. Berkshire Hathaway Specialty Insurance is proud to bring our exceptional strength, experience and market commitment to the medical stop loss arena. Itâ&#x20AC;&#x2122;s a home run for your organization. be preempted if the Plan’s language so provides or there is a clear contradiction to the federal law. For years, this law went unchallenged until 2006, when Mr. and Mrs. Sereboff were involved in a motor vehicle accident, and the Mid Atlantic Medical Services Employee Health Plan paid related claims in the amount of $74,869.37. The Sereboff’s eventually settled their personal injury claim for $750,000.00 and did not reimburse the self-funded Plan. The Plan eventually filed suit in the U.S. District Court for the District of Maryland, claiming a right to collect from the Sereboffs under § 502(a)(3) of ERISA. The Court ruled in Sereboff v. Mid Atlantic Medical Services2 that the federal courts have subject matter jurisdiction over actions where an ERISA-covered Plan seeks equitable relief. The Court further ruled that if an ERISA-covered Plan has paid medical benefits arising from an act or omission of a third-party for which a plan participant obtains a settled or jury award, the Plan has a right to right to enforce the terms of the Plan Document pursuant to ERISA 502(a)(3), for equitable relief. Shortly after, the Supreme Court held again in US Airways, Inc. v. McCutchen3, that the terms of an ERISA-covered Plan would be enforced as written, despite any contrary state law or equitable principle. We’ve got your back. Four words that anyone seeking to self-fund healthcare benefits needs to believe, particularly when contemplating the financial risks associated with catastrophic medical events. That’s why we’re firm believers at Swiss Re Corporate Solutions in building strong relationships, understanding exactly what our partners expect of us, and creating innovative ways of fulfilling those expectations. By working closely together, we combine our expertise and capabilities with our brokers, payers and advisors to provide enhanced value for your clients – not to mention extra peace of mind. When it comes to employer stop loss solutions, now, more than ever, we’ve got your back. We’re smarter together. Corporatesolutions.swissre.com/esl Insurance products underwritten by Westport Insurance Corporations and American Specialty Insurance Company. © Swiss Re 2018. All rights reserved. companies, as many people perceive; these are usually smaller companies, with the hope of keeping the risk low, and claims paid. The opportunity for reimbursement for third party claims keeps the premiums low for the members, a concept that eventually attorneys or members understand completely. After reviewing these arguments with other attorneys in our office, we agreed that we should amend our major medical template to include these definitions and add references to certain places in our Flagship Plan document, in order to avoid these sorts of arguments from other attorneys in the future. Specialists in plan document drafting and subrogation attorneys will be able to review your plan document to ensure we address all of the arguments to meet the needs of self-funded groups and their members. Maribel E. McLaughlin joined The Phia Group as a subrogation attorney in 2016. Previously, she was a plaintiffâ&#x20AC;&#x2122;s attorney, representing clients in medical malpractice and personal injury lawsuits. She is licensed to practice in the Commonwealth of Massachusetts and in the United State District Court for the District of Massachusetts. Spinedex Physical Therapy USA Inc. v. United Healthcare of Arizona, Inc.
elf-Insurance Institute of America, Inc. (SIIA) will hold its Annual International Conference for May 14-16, 2019 at the JW Marriott Miami in Miami, Florida. The mission of the SIIA International Committee is to promote global networking, the exchange of self-insurance and alternative risk strategies market knowledge, as well as effective emerging global health management trends. This unique industry event is designed to help attendees understand self-insurance/ captive insurance business opportunities and strategies with a multinational perspective. Delaware Advantage • Delaware takes captive insurance company licensing to a new level that Speeds to Market the licensing process. • Delaware is the first in the nation to electronically offer a conditional certificate of authority as part of the general application. • Delaware’s conditional certificate of authority means receiving a license to conduct insurance business the same day of submitting the application to do business. ENDEAVORS The educational program features top industry experts who will share their unique expertise on market opportunities outside of the United States, as well as how U.S.-based self-insured employers are providing benefits for workers stationed in foreign countries. This useful content will be complemented by multiple networking events where it is highly likely that attendees will make new contacts that they would never meet anywhere else. In this session Jonathan Callund, Representante Cono Sur for WorldCare and Jennifer Fleck, FSA, MAAA, Consulting Actuary of Milliman will provide an overview of market ‘best practices’ in the US and key countries in Europe and LatAm where privately insured disability solutions are prevalent and evolving - and increasingly in demand by Employers and Employees alike. •	Global Telemedicine - The Past, Present and Future - Part A: Making Telemedicine Work with International Plan Participants Part A will explore the cultural, linguistic and logistical challenges faced by employers who wish to provide telemedicine options for their local and international plan participants. Richard Heinzl, Global Medical Director of WorldCare, Elliot Mondrow, CEO of Equatel Health, Robb Suchecki, VP, International Healthcare for Pan-American Life Insurance Group and Dr. Jonathan Wiesen, MD, CEO and CMO of MySpecialistMD will give practical advice will be provided on how to overcome these challenges in order to make quality health care more accessible for employees based both within and outside of the United States. •	Global Telemedicine- The Past, Present and Future - Part B: •	Global Disability Trends A 35-year-old has a 50% chance of becoming disabled for more than a 90-day period before age 65 - and yet disability protection is much less prevalent than say life or health insurance. Disability providers in the US and internationally offer an array of fully insured and self-funded solutions with a variety of absence management and claims support services designed to streamline the process and get employees back to work as soon as reasonably possible. The disability provider’s data also reflects the effects of an aging workforce, medical advances, and the power of early intervention. Connecting the Dots to Maximize Telemedicine ROI Telemedicine is most effective when it is offered in concert with multiple complementary strategies involving data analytics, wellness implementation teams, corporate HR and Finance support, and proactive employee communications. In Part B, Mario Anglada, CEO of Hoy Health, Neil Gordon, CEO of Intervent and Michael King, Chief Growth Officer of Teladoc will connect these and other dots to help your organization structure a telemedicine program in a way that is most likely to deliver positive results for your employees and your bottom line. ANNUAL CLAIMS SAVINGS: $300,000 OR 20%! ENDEAVORS •	Health Insuretech The health-tech industry is booming. Investments have taken off with venture capitalists pouring billions into start-ups, many of which are having a disruptive - and yet really positive - effect on insurance. New technologies in the wellness economy are expanding as consumers seek products and experiences that promote health and well-being - with significant impact on improving the cost effectiveness of self-insurance solutions for healthcare. Brij Sharma, Managing Partner of Naples Technology Ventures, a leading expert with a 30-year background as a successful entrepreneur will share first hand stories from start-up companies that focus on healthcare services. Carmen Effron, Founder & President of C F Effron Company, a 20-year consultant with insuretech advisory expertise, will discuss the customer experience implications of these changes. •	International Self-Insurance Strategies Employers now have self-funded options for benefit plans that cover International Benefit exposures. Philippe de Dreuzy, Country Manager - USA of AXA Partners, Harvey Mitgang of MHS International and Les Boughner, Chairman of Advantage Insurance Management (USA) LLC will discuss Employer Stop loss, Captives and related Services that are currently available. ENDEAVORS and prescription drugs afforded to American consumers. This session will provide an industry snapshot of the United States’ largest trading partner at this historical juncture. •	Past and Future Perspectives of Self-Funding in Mexico In this session Carlos Chávez, Administrative Director of NOVA clinic and Jorge Rodríguez Healthcare Risk Management Director, LATAM at Global Excel will discuss personal experiences of self-funding in Mexico from an employer and provider perspective. There are sponsorship opportunities who want to promote their corporate brands with the event. For immediate assistance, contact Justin Miller at jmiller@siia.org. Detailed event information, including registration can be accessed on-line at www.siia.org, or by calling 800/8517789. Our services span the market to self-funded employers, TPAs, Brokers, Stop-Loss Carriers and Health Plans to manage complex reimbursement and pricing strategies for Medicare, Medicaid and commercial claims. Other Upcoming SIIA Events Self-Insured Workers’ Compensation Executive Forum May 7-9, 2019 • The Westin Nashville • Nashville, TN SIIA’s Annual Self-Insured Workers’ Compensation Executive Forum is the country’s premier association sponsored conference dedicated exclusively to self-insured Workers’ Compensation. In addition to a strong educational program focusing on such topics as risk management strategies and innovative ways to prevent and manage loss, this event will offer tremendous networking opportunities that are specifically designed to help you strengthen your business relationships within the self-insured/alternative risk transfer industry. chance to discuss with policymakers the issues facing the self-insurance industry, while allowing participants to make important connections. The more SIIA members we have in attendance, the more of an impact we can make. So join us, tell your story and talk about the issues you face. The SIIA National Conference & Expo is the world’s largest event focused exclusively on the self-insurance/captive insurance marketplace and typically attracts more than 1,700 attendees from around the United States and from a growing number of countries around the world. Registrants will enjoy a cuttingedge educational program combined with unique networking opportunities, and a world-class tradeshow of industry product and service providers guaranteed to provide exceptional value in four fast-paced, activity-packed days. We deliver solutions you can trust. There’s no simple way to overcome the rising claims trend in today’s market. But we know that incorporating smart practices into our business model is helping us to gain more control of the situation. We’re making informed decisions based on data analytics and industry knowledge; using the insight of in-house experts to create thoughtful solutions; and choosing our cost-containment partners wisely as we work to protect our clients’ financial wellbeing. Learn more about our efforts to help manage the unpredictable at hmig.com. Products are underwritten by HM Life Insurance Company, Pittsburgh, PA, or HM Life Insurance Company of New York, New York, NY. NEWS FROM SIIA MEMBERS SIIA Diamond, Gold & Silver Member News SIIA Diamond, Gold, and Silver member companies are leaders in the self-insurance/captive insurance marketplace. Provided below are news highlights from these upgraded members. 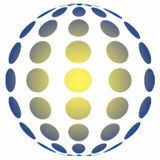 News items should be submitted to membernews@siia.org. All submissions are subject to editing for brevity. Information about upgraded memberships can be accessed online at www.siia.org. For immediate assistance, please contact Jennifer Ivy at jivy@siia.org. If you would like to learn more about the benefits of SIIAâ&#x20AC;&#x2122;s premium memberships, please contact Jennifer Ivy at jivy@siia.org. NEWS Diamond Members The Phia Group Introduces New Options for Handbook Gap Reviews Braintree, MA – In their quest to improve gap analyses, The Phia Group has compiled a growing list of issues impacting employment handbooks, analyzed federal and state laws impacting those handbooks, and chronicled areas where handbooks do not align with health benefit plans. Recognizing that different audiences require different levels of detail in said gap analyses, The Phia Group has developed two different handbook gap review options. Mind over risk. That’s how we properly assess risk – enabling our clients to focus on their businesses. We provide innovative stop loss solutions to protect self-funded employers from potentially catastrophic losses and flexible captive solutions that range from fronting and reinsurance arrangements to our turnkey stop loss program. We offer specialized solutions for specialty markets, including Taft Hartley and multiemployer organizations. We also offer fully insured organ transplant coverage to self-funded plans. Our clients have been benefiting from our expertise for over 40 years. To be prepared for what tomorrow brings, contact us for all your medical stop loss and organ transplant insurance needs. NEWS For more information regarding The Phia Group’s Handbook Gap Review options, or to learn about any of The Phia Group’s other services, please contact The Phia Group’s Sales Manager, Garrick Hunt, by email at GHunt@phiagroup.com, or by phone at 781-535-5644. About The Phia Group The Phia Group, LLC, whose purpose is to help employers offer affordable health benefits to their employees, is headquartered in Braintree, Massachusetts. They are an experienced provider of health care cost containment techniques offering comprehensive claims recovery, plan document and consulting services designed to control health care costs and protect plan assets. By providing industry leading consultation, plan drafting, subrogation and other cost containment solutions, The Phia Group is truly Empowering Plans. Visit www. phiagroup.com. CoreSource has the expertise needed to bring benefit plans to the next level. From cost containment solutions designed to ensure money is appropriately spent, to advanced reporting that gives a deeper look into plan performance. Our cutting edge solutions have propelled us to be one of the strongest in the industry. Your claims. Our focus. Anthem Stop Loss proactively manages your claims so you don’t have to. Imagine partnering with a team of experts who are dedicated to making sure your claims are submitted and processed, so your reimbursements aren’t delayed. That’s the power of active claims management. We proactively manage your claims to keep your cash flow flowing. Here’s how: • We verify all groups administered by the Blue plans, Aetna, UnitedHealthCare and associated Pharmacy Benefit Managers are submitting your claim reports so there are no bottlenecks. • We work directly with Third-Party Administrators and other groups to make sure nothing falls through the cracks. • We look for opportunities to mitigate costs for specialty care, transplants, out-of-network and large-dollar claims. For Stop Loss that’s safe, secure and surprisingly nimble, visit anthemstoploss.com. About Swiss Re Swiss Re Corporate Solutions provides risk transfer solutions to large and midsized corporations around the world. Its innovative, highly customized products and standard insurance covers help to make businesses more resilient, while its industry-leading claims service provides additional peace of mind. Swiss Re Corporate Solutions serves clients from over 50 offices worldwide and is backed by the financial strength of the Swiss Re Group. Visit swissre. com. •	Serves as subject matter expert in company’s cost containment programs, including but not limited to TPAs, Large Case Managers, Sales, Underwriters, Client Representatives, and Brokers. Serve as a consultant to underwriting. •	Serves as a subject matter expert in the evaluation of medical information to clarify diagnoses, evaluate the severity of medical conditions, and estimate the duration of recovery. Provides assistance to TPAs with cost containment options for high cost claims including but not limited to: transplants, specialty medications, dialysis, hemophilia, neonatal, and cancers. Point6 delivers Financial Savings, Risk Reduction, Growth, Innovation, Value and Efficiency to entities Managing Large Complex Medical claims and Stop Loss Insurance for employers. expert in analysis of transplant representative contracts and provides guidance •	Experience in Microsoft Office products to the TPA/Case Managers in the selection of the best Link to apply: https://godirect.wd5.myworkdayjobs.com/voya_jobs/job/MN-Mnplstransplant contract for their 20-Washington/Cost-Containment-Consultant_JR0019908 client. About Voya Financial Researches clinical conditions and provides analytical review Voya Financial is a group of premier retirement, investment and insurance of the medical and/or pharmacy companies with 225,000 points of distribution and approximately $467 billion data to formulate the history of in total AUM and AUA as of December 31, 2018. We’re dedicated to making a events. secure financial future possible for all Americans. And, we have the experience, resources and commitment to help you grow your business. Visit voya.com. Manages vendors and participates in vetting new vendors. •	Actively participate in establishing standard work and root cause problem solving for the cost containment team. •	Develops relationships with key external and internal stakeholders, and cooperatively facilitates optimal cost savings. Silver Members D.W. Van Dyke Medical Stop Loss Survey Premiums Exceeds $8.5 Billion Chris Koehler, President of DDR Holdings, Inc., announced survey results had been sent to 34 MGU and Direct Carrier organizations participating in D.W. Van Dyke & Companies 18th consecutive January Medical Stop Loss Persistency and New Business Industry Surveys. Annualized January 2019 survey premiums exceeded $8.5 billion. Chris commented, “Survey results indicated a general slowing of January 2019 growth compared to January 2018”. Stop Loss Carriers and MGUs are all welcome and invited to participate in future DWVD surveys. Those interested should contact Chris Koehler at ckoehler@dwvd.com or Michelle Marzella at mmarzella@dwvd.com. D.W. Van Dyke Promotes Michelle Marzella to Vice President Shelton, CT -- Walt Roland, President of D.W. Van Dyke & Co., a Life and A&H Intermediary specializing in Self-Funding and Excess reinsurance placements for health plans, is pleased to announce the promotion of Michelle Marzella to Vice President. “Michelle has done a tremendous job since joining our firm in 2016 and we are counting on her becoming an even bigger asset as our company continues to grow in tandem with this exciting industry in the years ahead”, Walt stated. Whether youâ&#x20AC;&#x2122;re looking at a claims administration system for the first time or are tired of navigating the complicated maze of your current system, Hi-Tech Health can provide a customized software solution which will eliminate your frustration and put you on the right path to success. Your Business. Your Time. Your Way. Whether your goal is to grow faster while competing with larger Third Party Administrators, streamline your paperwork, or simplify your billing services, weâ&#x20AC;&#x2122;ll work with you, one-on-one, in a fraction of the time it takes other software companies to get you started! NEWS About D.W. Van Dyke & Company Founded in 1978, DWVD provides intermediary and advisory support for reinsurance placements, distribution, product development consulting and direct brokering services on behalf of institutional clients. DWVD works throughout the Life, Accident & Health space, most prominently in the stop loss business. DWVD’s customers and markets include Insurance Companies, Reinsurers, TPAs, MEWAs, Cooperatives, MGAs, distribution companies and others. Contact Walt Roland at wroland@dwvd.com and visit www.dwvd.com. H.H.C. Group, a leading national healthcare cost containment company, announced that it now provides administration of Function Capacity Evaluations (FCEs). FCEs are utilized to evaluate an individual’s capacity to perform work activities related to his or her participation in employment. The FCE process compares the individual’s health status and body functions and structures to the demands of the job and the work environment. H.H.C. Group provides a wide range of other cost containment services including administration of Independent Medical Examinations (IMEs) and Independent Medical File Review/Utilization Reviews (IRs/URs). The company is URAC accredited Independent Review Organization (IRO) for both Internal and External Reviews. H.H.C Group utilizes FCE certified providers to perform the FCEs and employs a stringent vetting process in the selection of those providers. About H.H.C. Group H.H.C. Group provides a wide range of cost containment solutions for Insurers, Third Party Administrators, Self-Insured Employee Health Plans, Health Maintenance Organizations (HMOs), ERISA and Government Health Plans. H.H.C. Group utilizes a combination of highly skilled professionals and advanced information technology tools to consistently deliver targeted solutions, significant savings and exceptional client service. Offers a strategic approach to prescription drug benefit programs that delivers cost savings, superior risk management and clinical designs that are sustainable over the long term. Delivers risk solutions to the US health reinsurance market, with a focus on HMO reinsurance, provider excess, medical excess, captive reinsurance, and specialized employer stop-loss. Serves employer groups, labor groups, small health plans, coalitions and third party administrators. Serves brokers and their clients with best-in-class underwriting, actuarial, cost containment, claims, and reinsurance-based risk management services. ELMC Risk Solutions has assembled some of the most innovative minds in stop-loss reinsurance and prescription drug consulting businesses. H.H.C. Group’s services include Claim Negotiation, Claim Repricing, Medicare Based Pricing, DRG Validation, Medical Bill Review (Audit), Claims Editing, Medical Peer Reviews/Independent Reviews (IRs/URs), Independent Medical Examinations (IMEs), Functional Capacity Evaluations (FCEs) Case Management Utilization Review, Data Mining, Disease Management and Pharmacy Consulting. Contact Bob Serber at rserber@ hhcgroup.com, 301-963-0762 ext. 163 and visit www.hhcgroup.com. outcomes and costs in healthcare, Humana with Accolade leverages an open and intelligent platform and a personalized advocacy solution to create a whole person, whole population health offering for its self-funded employer clients, their employees and families. Using an innovative and open approach to healthcare, Humana will integrate a rich array of data on Accolade’s platform. The Accolade platform leverages advanced machine learning intelligence that produces highly personalized and targeted services across an entire member population, with the goal of reducing complexity and waste. With dedicated Health Assistants and Clinicians, mobile and online messaging, a fully integrated benefits center, member activation campaigns and intelligent insights, Accolade has shown up to a 30-percent lift in program utilization, along with achieving measurable member satisfaction and cost savings. “The cost structure and consumer experience in healthcare can only improve when companies across the industry collaborate, integrate data, promote best-in-class services, and put the consumer first,” said Rob Cavanaugh, Accolade President. “Humana recognizes that innovation breeds results that benefit everyone – most importantly their members, who must make difficult healthcare decisions as they navigate the healthcare system. Humana and Accolade are pioneering change for consumers, employers, providers and the industry as a whole, and we’re happy to advance this important change together.” “Humana is taking a major step forward in reinventing the way healthcare is experienced by employees and their families by expanding our solution in partnership with Accolade,” said Chris Hunter, president of Humana’s Group and Specialty Segment. “Building on our own successful service model, we expect our Humana with Accolade service to be the standard of excellence for health plans, employers and consumers in a new open and collaborative era. ” The open and connected Accolade platform brings together innovation across the healthcare landscape, bringing employers and their health plan members the benefit of more than 100 solutions, such as price transparency, provider search, telemedicine, wellness, maternity, centers of excellence, disability and leave, and more. Humana with Accolade will bring employers a personalized service based on the specific healthcare and benefits needs of their entire employee and family populations, while enhancing their business. Humana with Accolade will launch initially in the Milwaukee, Wis., and Cincinnati, Ohio, areas. For more information on Humana with Accolade, please visit www.accolade. com/contact. For more than 35 years, self-funded employers have trusted Sun Life to deliver ﬂexible stop-loss solutions and seamless claim reimbursement. And now, with our new Clinical 360 program, our clinical experts will review your claims data to identify cost savings and care optimization. With high-cost medical and pharmacy claims growing every year, you need your best partner with you every step of the way. Ask your Sun Life Stop-Loss specialist about our latest innovations. NEWS About Accolade Accolade is a personalized health and benefits solution that can dramatically improve the experience, outcomes and cost of healthcare for employers, health plans and their members. With a unique blend of compassionate advisors, clinical experts and intelligent technologies, we engage individuals and families in their health, establish trust, and influence their decisions at every stage of care. Accolade connects the widest array of personal health data and programs to present a single point of entry to the most effective health and benefits resources, while coordinating with providers at every step. Accolade consistently achieves 60 and higher Net Promoter Scores, 98% consumer satisfaction ratings, and up to 15% employer cost savings. Accolade has been recognized as one of the nation’s 25 most promising companies by Forbes, a fastest-growing private healthcare company by Inc. 5000, and is consistently rated a Top Workplace across the country. Visit www.accolade.com. About Humana Humana Inc. is committed to helping our millions of medical and specialty members achieve their best health. Our successful history in care delivery and health plan administration is helping us create a new kind of integrated care with the power to improve health and well-being and lower costs. Our efforts are leading to a better quality of life for people with Medicare, families, individuals, military service personnel, and communities at large. Visit www.humana.com. 6 Degrees Health adds Donald Lee as Vice President of Strategy & Underwriting Hillsboro, OR – 6 Degrees Health is pleased to announce the addition of Donald Lee as Vice President of Strategy & Underwriting. Donald started his healthcare career nearly two decades ago in the underwriting and actuarial field, most recently as Vice President with a large broker/consulting firm, where he managed the firm’s stop loss panel and strategic relationships. Donald is an expert in healthcare risk financing and alternative risk strategies. He holds a degree in Mathematics, with an emphasis on Statistics and Computer Science. “6 Degrees Health’s ability to build solutions that are attractive to the stop loss community has a beneficial impact on our broker partners and their employer sponsored health plan clients. Donald’s underwriting, actuarial and broker experience will take our understanding and integration with the risk financing market to the next level. In fact, in Donald’s first few weeks with 6 Degrees Health he identified an opportunity to help mitigate transplant lasers using a reference based pricing solution for traditional network plans. Donald brings immense value to not only our internal team, but also our partners in the self-funded space.” says Scott Ray, CEO of 6 Degrees Health. 6 Degrees Health is built to bring equity and fairness back into the healthcare reimbursement equation. Our cost containment efforts utilize MediVI technology, which supports our solutions with objective, transparent and defensible data. Services include provider market analyses, reasonable value claim reports, specialty networks, claim negotiations, referenced based repricing, and direct contracting. For questions or a system demo, contact Heath Potter, Senior Vice President, 6 Degrees Health at heathpotter@6degreeshealth.com, 503-640-9933 ext. 1102 and visit www.6degreeshealth.com. Please note 6 Degrees Health has moved offices. The new address is: 5800 NE Pinefarm Court, Suite 200, Hillsboro, OR 97124. Celebrating 10 years of Employee Benefit Group Captives We’ve been innovating for a very long time. Ten years ago, Berkley Accident and Health was an industry pioneer with EmCap®, our employee benefit group captive program. Today, we are a market leader with an impressive track record of building and managing successful captives. For group captives, it’s a clear choice. Choose the team with a decade of experience and success. These statements are illustrative only and not indicative of actual past or future results. Stop Loss is underwritten by Berkley Life and Health Insurance Company, a member company of W. R. Berkley Corporation and rated A+ (Superior) by A.M. Best, and involves the formation of a group captive insurance program that involves other employers and requires other legal entities. Berkley and its affiliates do not provide tax, legal, or regulatory advice concerning EmCap. You should seek appropriate tax, legal, regulatory, or other counsel regarding the EmCap program, including, but not limited to, counsel in the areas of ERISA, multiple employer welfare arrangements (MEWAs), taxation, and captives. EmCap is not available to all employers or in all states. Through our integrated PREPAYMENT REVOLUTION Zelis is the market leader in integrating network solutions, payment integrity and electronic payments to deliver insights that drive even greater savings before a claim is paid. Working in a prepayment environment, we price the claim correctly before you pay, avoiding unnecessary costs, time and reducing member and provider abrasion. In fact, 85% of the time we find claim savings that other vendors donâ&#x20AC;&#x2122;t. We do this by focusing on every step of the pre-payment claim cycle and delivering value-driven solutions from payment to reconciliation. Contact Zelis today at 888.311.3505 or visit zelis.com to find out how our pre-payment solutions are helping control the rising cost of healthcare. Copyright 2018 Zelis Healthcare. All rights reserved Copyright 2017 Zelis Healthcare. All rights reserved.